Just a bit more and the English version of Monster Hunter Portable 2nd G is nearly here. Dubbed Monster Hunter Freedom Unite, it’s one of most awaited PSP games for 2009 and I’m quite certain I’m not alone on this as several Filipino online communities like PinoyPSP and Ichiraku are already prepping up for the game’s official release. So what does Capcom have in store for us? The Demo for Monster Hunter Freedom Unite is coming via the playstation store come June. How timely, since my birthday is in June :). 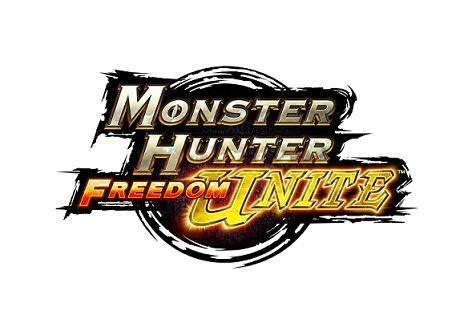 In any case, Freedom Unite is bound to open doors to non-CFWed PSPs to Monster Hunter. Are you part of the Monster Hunter Mania? I am. Argh! I want someone to network with! ang hirap na mga quest! At lvl 3 quest pa lang yun! huhuhuhu! lol. if you can wait upto July. Me and my buddies will be resuming our weekly monster hunter sessions. I’d be up for MHFU action when it comes out (on umd that is). I’m up to Lunastra on Elder quests and should be HR 2 in a day or two. Also I just hit HR4 (all solo) the other day woo! 😀 Congrats. I’m waiting for my new PSP Phat on the 30th!